TIJUANA (Jan. 10, 2018) –Club Tijuana Xoloitzcuintles will play in an exhibition match against Major League Soccer powerhouse and 2017 MLS Cup Champion Toronto FC Wednesday Jan. 31 at the University of San Diego’s Torero Stadium. The friendly match between LIGA MX side Xoloitzcuintles and the domestic treble winner is set for a 6:30 p.m. (Pacific) kickoff. The game is slated to bring the region top-notch soccer to a soccer-hungry area. The game, co-produced by Pazzo Sports, will feature two of the youngest teams in North America with early success in their respective leagues. Both teams are slated to compete in the 2018 CONCACAF Champions League in February. The exhibition match serves as preparation to the tournament that features some of the top clubs in North, Central America and the Caribbean. Club Tijuana, which plays in the Mexican first division, will be four games into its 2018 Clausura season at the time of this friendly. The Xoloitzcuintles (Xolos for short), led by new head coach Diego Cocca, are one of Mexico’s most dynamic teams with a large following in the United States. Club Tijuana was established in 2007 and reached promotion to the first division in 2011. It won its only league title shortly thereafter in the 2012 Apertura. The Xoloitzcuintles have competed in international tournaments such as the CONCACAF Champions League and the Copa Libertadores, which includes the top teams in South America. Toronto FC was established in 2005, joining MLS in 2007 as an expansion team, becoming the first Canadian team to enter the league. Toronto, a powerhouse in its league, is coming off winning the 2017 MLS Cup and the Supporter’s Shield, earned by the MLS team with most points in the regular season. It is also last year’s Canadian Champion. Toronto won this accolades with players like United States National Team veterans Jozy Altidore, Michael Bradley and Italian national Sebastian Giovinco. Toronto is in its preseason heading into the 2018 MLS Season. “The Reds” are also six-time Canadian Champions and semifinalists in the 2011-2012 CONCACAF Champions League. Coach Greg Vanney’s team are also back-to-back (2016 and 2017) MLS Cup playoffs Eastern Conference champions. 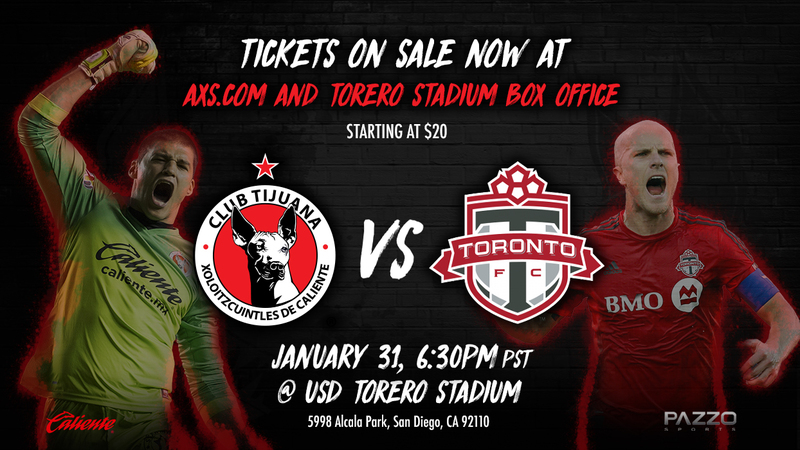 Club Tijuana has played in a handful of matches in San Diego, including exhibitions at Petco Park, SDCCU Stadium (formerly Qualcomm), San Diego Mesa College and Torero Stadium. The Xoloitzcuintles has played against MLS sides LA Galaxay and former franchise Chivas USA. 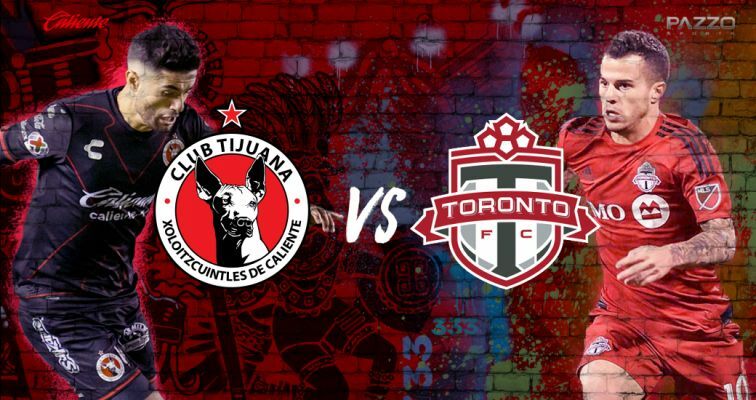 This will mark another milestone for Club Tijuana and the region as two clubs bring a fluid brand of soccer to fans in the Californias. Tickets for the match will go on sale DATE at axs.com and at the USD Torero Stadium box office.